At Ironwood Women’s Centers, we want you to be actively involved in your cancer care! 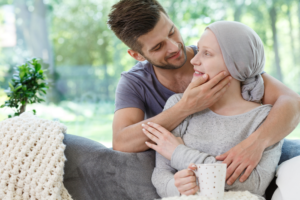 The Knowledge Center is available to you to learn about all of the resources available to assist you with having a better quality of life while going through your cancer treatment. You can watch Educational Videos, read our Provider Blogs, and join us for breakfast at our Annual Survivor’s Day event. You will find that many of our Integrative Services are available free of charge to you, your family, and the local community. After your appointment, we encourage you to check out our wig boutique, ask for assistance with a complimentary bra fitting, and learn how to keep your skin hydrated & healthy with our Beautiful Beginnings classes!